They used the bioink to 3D print a honeycomb structure that contains fibroblast and hepatoma cells and mimics a human liver. The 3D printed structures were crosslinked with CaCl2 and incubated and cultured for three days. 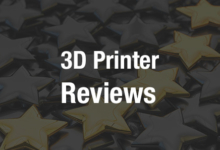 They discovered that the 3D bioprinting process resulted in minimal cell damage. Alginate is a natural polymer that has been used for numerous bioink formulations. It is biocompatible and easily processable, yet its rheological properties result in poor printability and pattern fidelity, which means that it must be combined with something else – in this case, CNCs, which are rod-like or whisker-shaped nanoparticles extracted from the crystalline regions of cellulose fibers. Cellulose is a natural material that serves as the main component of plant cell walls and has shown a lot of promise as a 3D printing material. It has been widely studied for tissue engineering applications as well, thanks to its renewability, low density, high mechanical strength, large and highly reactive surfaces, and low cytotoxicity. The alginate and CNC bioink performed extremely well. It demonstrated excellent shear-thinning properties, meaning that its viscosity decreases under the pressure of an extruder nozzle, enabling it to be printed easily. It held its shape well after printing, and induced minimal cell death among the liver cells it was seeded with. The researchers conclude that the bioink has good potential for 3D bioprinting. This may not seem like a massive development compared to, say, the 3D printing of a thyroid, but in the big picture, it’s exciting news. The development of a new, promising bioink means that scientists have more to work with in the pursuit of 3D printing better tissues for research purposes and, ultimately, 3D printing organs. Before we can see more major advancements in 3D bioprinting, the building blocks need to be there, and this particular study has resulted in some strong building blocks. Authors of the paper include Yun Wu, Zhi Yuan (William) Lin, Andrew C. Wenger, Kam C. Tam, and Xiaowu (Shirley) Tang.